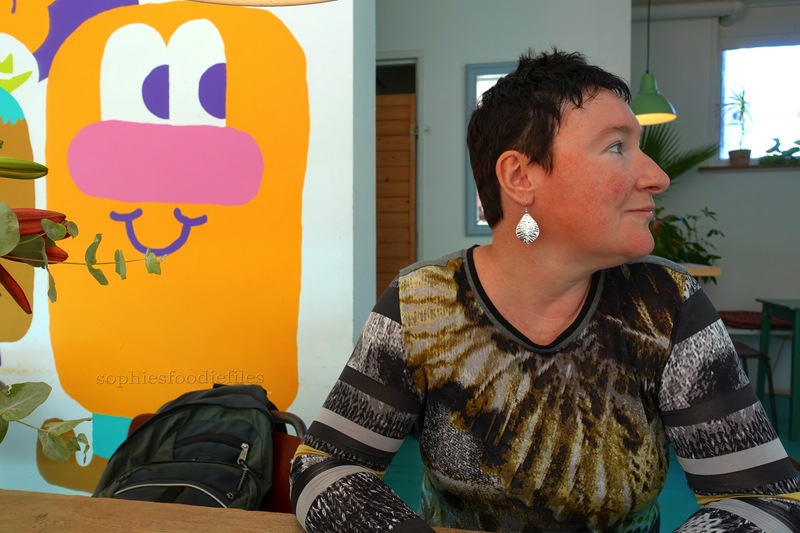 A few days ago, Peter & I visited Amsterdam-Oost aka in Amsterdam-East! 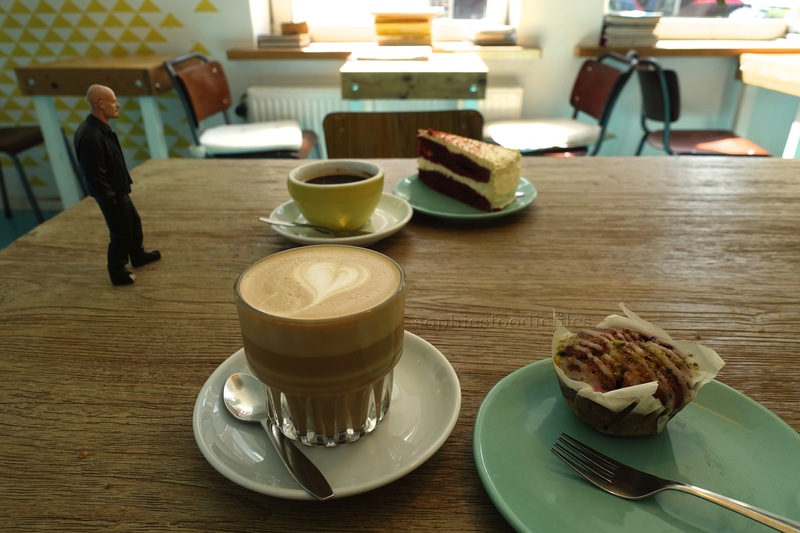 We came here to sit down & relax,… and to have some good coffee & cake, of course! A soy latte with soy milk for me & a tasty friand! A red velvet cake for Peter & an Americano coffee! Rum Baba, Pretoriusstraat 33, Amsterdam-Oost. I am also a contributor on Google Maps in English! 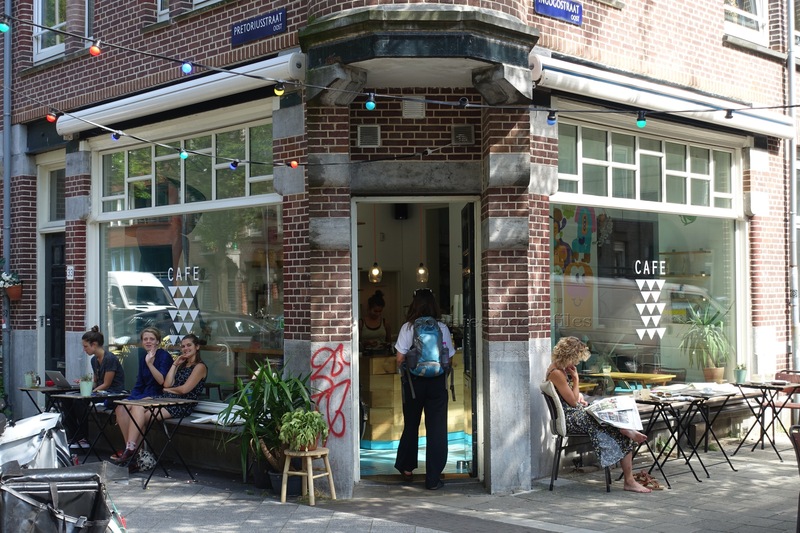 You can also find my review of this lovely coffee bar in English on Google Maps HERE! So, if you like to stay updated & receive my new latest posts through cool email newsletters, Subscribe now by email. It is free! Join 1,850 email subscribers! Get my free E-Book: Healthy Vegan Christmas too! Next Post Tropenmuseum & Bar Basquiat! Yum! It’s always good to know where the best cafes are. This coffee shop looks wonderful. What a cosy coffeebar! Lovely inviting cakes too!